I get a lot of questions from new investors. You notice over time the same ones keep coming up again and again so I thought I would write about one today. One of the most frequently asked questions of all has to do with screening motivated sellers. 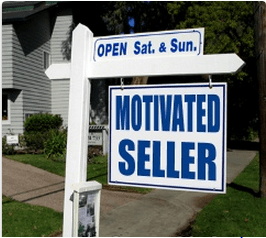 “How do I quickly find out in that initial phone call if I have a motivated seller, and how can I get them to tell me how much they want for the house? I ‘m wasting a lot of time on the phone, then I drive out to the property only to find out it’s a house that needs to be listed with a Realtor”. My answer to that is you should never be getting in your car to drive to a property without a reasonable expectation that you can buy the property at a deeply discounted price. There will be times when you won’t know for sure if you can get to the exact number you need until you meet the seller face to face, but that initial conversation should let you know if you have a potentially motivated seller. How exactly do you get better at this process? The short answer is that it takes practice. However, there are some steps you can take to speed this process up. The best way to be sure you always ask the right questions and ultimately get the information you need is to use a Property Information form every time you speak with a seller. After 17 years in this business I know all the questions I need to ask, but I still use my form every time. If you do that you won’t forget to ask something important. The last thing you want to have to call the seller back just to ask something you failed to ask in the first conversation. I also take this sheet with me to the appointment. It has all of the pertinent information about the property and the seller as wells as any notes I have made about the property or the seller’s motivation. I also make sure the directions to the property are on this sheet too if I need those. Another thing I love about using this form is that it really provides a complete snapshot of the property along with the seller’s contact information. I will take this information and create a contact in my database. All phone calls and appointments with the seller will be added to this contact so that I have a complete record at a glance. Even if you don’t strike a deal initially, if the seller calls you back at a later date you have all of the information from any previous calls and appointments. I try to make really detailed notes about any conversations or meetings I have with these sellers when I put them into the database. The smallest details can be important down the road. If they mention any personal details that I want to remember I’m sure to jot those down too. I have had sellers call me back months later and mention the “offer” I made on their property. When I pull up my notes, the offer “they remember” is quite often higher than the initial offer I actually made. They always seem surprised that I have that information at my fingertips. Now since this is another opportunity to possibly buy the property the last thing I want to do is to “rock the boat” so I am careful what I say. I may forget some things but I rarely forget a house or an offer. Even though I almost always remember these things, I don’t leave this to chance. I keep all of this information in the database. What I will typically say at this point is something like this; “I put everything in the computer so I will be sure to get the details right if I need them down the road. Let me pull up your information real quick and take a look”. This is a non-confrontational method of letting them know I have a record of our calls and visits. Then I proceed to tell them the date I was there and the offer I made. I need to get them back on the same page quickly without offending them. They will usually say, “Oh OK. So you wrote that down”? I will usually make some joke about needing to do that so I remember correctly. This is a pretty big piece of the picture so I am going to devote an entire article to this part of the process in the next article. If you’re not already subscribed to the blog, be sure to do that today so you get the next part of this article in your inbox tomorrow. Use this special link below to get your Property Information Form. Just in case you missed part 1, you can read that by clicking here….